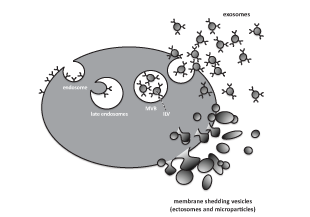 Exosomes – Vehicles of Intercellular Signaling, Biomarkers, and Vectors of Cell Therapy. Mesenchymal stem cells (MSCs), whose mechanism of action is predominantly paracrine, are being widely tested for the treatment of a variety of human diseases. No one factor has been proven sufficient to mediate the therapeutic effects of MSCs. However, exosomes-membrane vesicles secreted by many cells, including MSCs-are appealing candidates as vectors of their efficacy. Exosomes can transport and deliver a large cargo of proteins, lipids, and nucleic acids and can modify cell and organ function. In addition to their key role as vehicles of intercellular communication, exosomes are increasingly recognized as biomarkers and prognosticators of disease. Moreover, they have the potential to be used as vehicles of gene and drug delivery for clinical application. 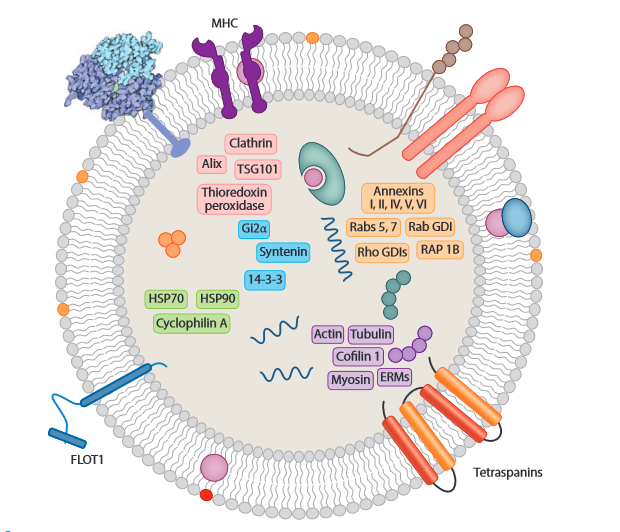 In this article, the author reviews the biogenesis of exosomes, their molecular composition, and their role as messengers of intercellular communication, focusing on their potential as therapeutic vectors for stem cell therapy. Tagged with: biomarkers intercellular signaling Mesenchymal Stem Cells Vectors of Cell Therapy.